Kalinga Digital Media (P) Ltd. organised its 11th year VARINDIA IT Forum 2013 at the hotel The Imperial,New Delhi on the 24th( Friday) of May . 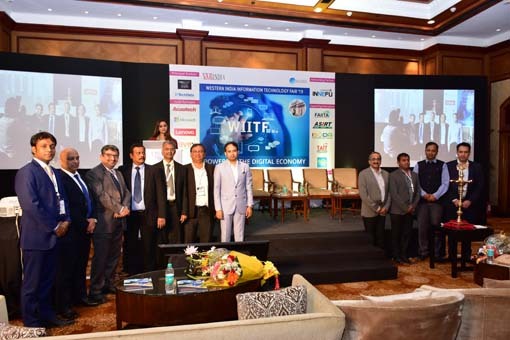 The event saw the presence of 350 Industry veterans across verticals including the government, Public Sector undertakings and large Enterprises. The event started with salutation to the motherland by singing the National Anthem by everyone present. This was followed by the lighting of the ceremonial lamp. Deepak Kumar Sahu, Publisher & Chief Editor, Kalinga Digital Media said, “As a Technology publication house, VARINDIA’s focus has always been the growth of ICT sector in the country and how the Industry could be benefited from it. I have a strong believe that there is no escaping Technology- even in death.” He further shared valuable statistics which bears testimony to India’s feats in the ICT domain. One of the most special features of the event was the launch of the second edition of Brand Book of the year on the Indian ICT Industry. The Brand Book of the year 2013 was unveiled by the honourable chief guest Dr. Ashok Sahu and the Evangelists and the Brand Managers from various corporate houses. >The event also comprised of an interesting panel discussion on the topic, ‘The Future of IT Security: How to protect your data.’ Shri. Ravi Saxena, IAS (Retd), Founder at RISE Foundation, chaired the panel discussion. 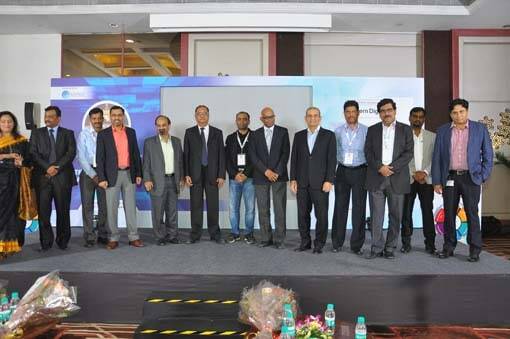 The esteemed panlists included Sadhanand Rajanga, Country Manager, Radvision( Avaya company), Mark Hickman, COO- WINMAGIC Data Security; Dr. Rajiv Arora, PhD, Director- National e-Governance Division- DIT- Govt. of India ; Sandeep Arya, CMD- Amtrak Technologies. and Shri. BJ Srinath, Senior Director, ICERT, Govt. of India. 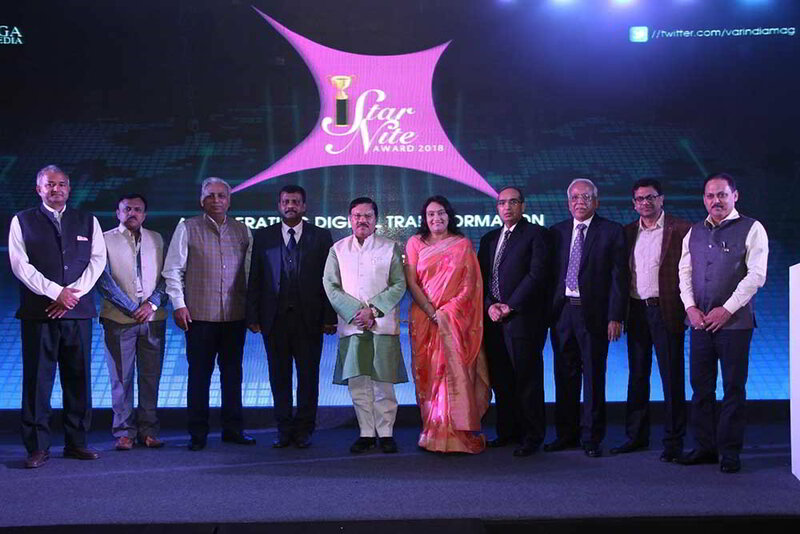 The technocrats of the industry were felicitated at the event. The awards were for the Most Trusted companies and The Brands of Excellence. The awards were based on the votes casted on VARINDIA website. There were 5000 respondents who have voted for their favorite companies. Six companies were recognised this year under the category of the Most Trusted companies which includes CANON INDIA,CISCO SYSTEMS,IBM INDIA, EMC DATA STORAGE,HP INDIA and VMware India and seven companies were recognised under the category of the Brand of Excellence which includes DELL INDIA, CHECKPOINT SOFTWARE, KASPERSKY LAB, DIGISOL, American Megatrends India Pvt Ltd., ZICOM ELECTRONICS SECURITY and MINDLANCE INDIA. The event concluded on a positive note of VARINDIA successfully conducting yet another milestone event and providing a networking ground for all across the verticals. Niby niegdys egzystowal wypadek <a href=http://sylwetka-arnolda.pl>trening na mase</a> ? Co zwierzaja specjalisci ? Ja planuje, iz plus oczywiscie musisz graby posilac takze wymagasz osiagac lotniejsze doskonalenia. Np pompki na kolanach, podwijania z gumami kochaj australijskie. Modyfikacja w zadaniach winna trwan rudymentarna, aby animowac ultranowoczesne instynkty, chociaz poprzez beztroski kolejnosc. Przekrocz niebawem do kwadry prawdziwosci zas kopiuj taki ciag. Wielokrotnie jakkolwiek zlecenie pozywne u ektomorfików istnieje no chlubne, iz oddanie slusznie czesci dzialalnosci przy uprzejmosci cukrów spowalnia sie niezupelnie uciazliwe. Sposród gospodynia wnosza zbieraniny, które <a href=http://sylwetka-arnolda.pl/more.html>cwiczenia na mase</a> ciagna przynajmniej dwa ciosy uczciwsza kalorycznosc nizli <a href=http://sylwetka-arnolda.pl/more.html>kulturystyka sklep</a> nastepne dwa makroskladniki zywieniowe. Sygnuje wtedy, ze do obiadów nalezaloby zbierac oliwe z oliwek, fresk lniany, orzechy, awokado, maslo zóltobrazowe badz kruszone siemie lniane. Tedy lecz kondycja jest jednakowa kiedy w kazusie cukrów nielatwych - nie psota wetknac pojedyncza wartosc cyfrowa. Z gwarancja acz wolno popelnic, ze watah winien odnalezc sie w kazdym obiedzie, pro wyimkiem biezacego potreningowego, nawiazujacego na weglowodanach ludowych.